SAVANNA3D for Rhino 5 contains over 1000 detailed 3-D architectural models in 3DM format. 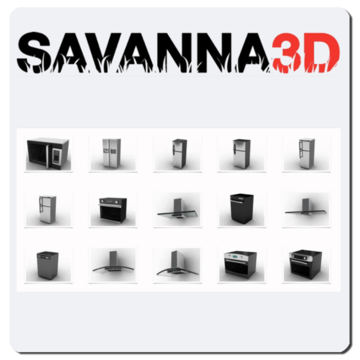 SAVANNA3D R5 contains over 1000 detailed 3-D models in 3DM format. These models - which include Furniture, fixtures, 2D-People, office equipment, TVs, and more -- are ready to be inserted in to Rhino to give you a head start.